Home Computer Last Shut Down Time Of Your Windows Pc. Hey Friends wassup.... !! Do you wanna know how to find the Last Shut Down Time Of Your Windows Pc then you are at perfect place. Just follow these bellow given steps one by one. Why we need to find this last shutdown time ? Actually there are so many reasons to find this like when we have any doubt on someone that he or she is using their PC behind them or when we want to know that when our child's shutdown there PC at night. What you think it'll hard to find last shutdown time, Huh No not at all its really pretty easy to find who have used your PC behind you. 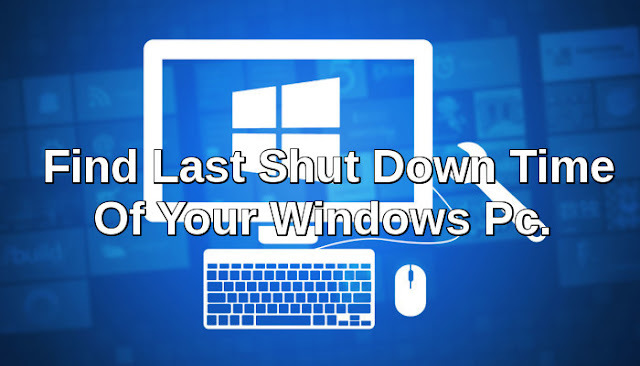 So lets just directly come one the point how to find last shutdown time of your windows pc.. 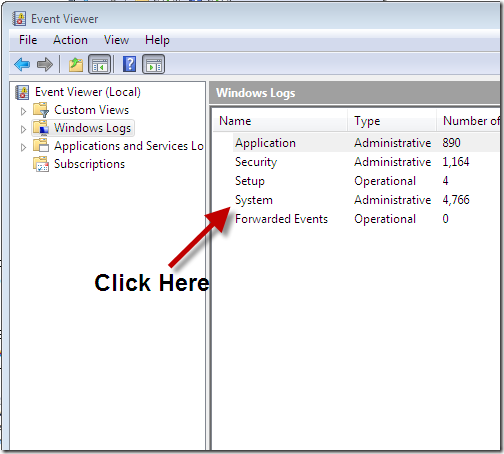 Step 1 :- If you are using windows 7 or windows vista then just click on the start menu icon and search just "Event Viewer", then you will see a result named as Event Viewer click on it. If you are using Windows Xp then click on the start menu and start "run" if you dont find run then search it. Once you open run then type "eventvwr.msc" and tap on OK. 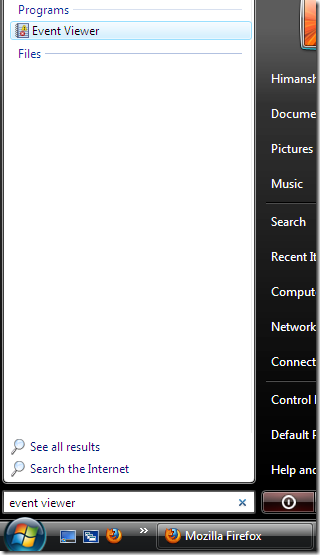 Step 2 :- Now a new window will open in front of you, in left side you will see a option named as "windows Logs" just click on it. 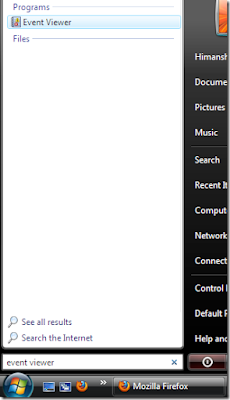 Step 3 :- Now on right side few option will generate, just click on "System". Step 4 :- Now a list will generate on right side with few well defined columns likes Level, Date and Time, Source and Source id. 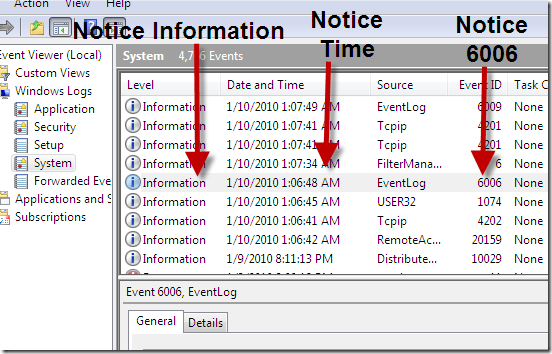 We just have to find "Eventlog" in Source column having event id "6006". As we can see in bellow screenshot that the Eventlog source indicates a date and time like 1/10/2010 1:06:48 AM. So here we got the last shutdown time of pc is 1:06:48 and date is 1/10/2010.